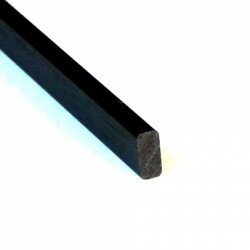 Tone Carbon Fibre Rods for Guitar Neck Stiffening. The trend towards thinner guitar neck profiles has meant that some additional stiffening may be required. The first attempts to make necks more stable was gluing two or more pieces of wood together, then inserting metal bars, square tube and U profiles, adjustable truss rods and combinations of these. Following this evolution came the appearance of new technical materials and they also found place in instrument building. But is using standard, off the shelf, carbon fibre rod the best solution? Carbon fibre is available in many variations and the thickness of the fibres, coupled to the stiffness of them and the resins used to bind the fibres, has a bearing on the finished CF rod. Sever Custom Guitars owner, Davorin Sever, a custom guitar maker since 1978, has experimented with a variety of CF products and now specifies his own carbon fibre construction. Sever found that by adjusting the formulation of the fibre and resins / additives the final rods responded differently to sound vibration. By inserting high responsive rods into guitar necks he found improvements in the attack and sustain of the guitar. Standard “modelling” carbon fibre tends to reduce the attack and sustain. Check the sound test here. For your safety and work properly done, please read about instructions and precautions with working on Tone Carbon Rods and carbon saddles. They can be sawn, sand and glued. You can handle them similar as wooden parts, but with some extra percautions. We recommend wearing gloves and protective glasses when handling or cutting carbon fiber because of splinters. The small splinters are very sharp, and quite brittle. This makes the splinters very difficult to remove since they often crumble and break as you try to extract them. The dust produced when cutting or machining carbon fiber is dangerous. Always wear a dust mask to keep the fine dust particles from entering your lungs and nasal passages. Safety glasses are also required whenever you are doing cutting or sanding operations. 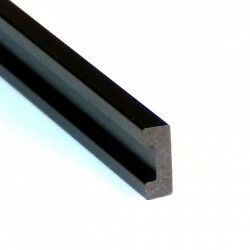 Carbon fiber is a very hard, brittle substance that will dull the cutting edges of your tools. 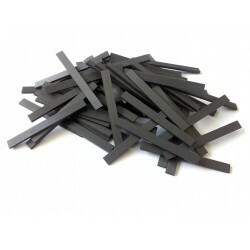 If you simply need to shorten a piece of carbon fiber, we recommend using a worn or semiworn saw to cut it to the desired length. When using power tools to cut carbon fiber please use a piece of wood to guide and conclude the cutting. You can use Cyanoacrylates (superglue), epoxies, or wood glues. You have to prepare the rod and degrease it, than gently grind with sand paper 150 or 180. Glue together 2 piesces of U-profile rods along side to obtain a sound chamber and than insert it in the neck groove (see picture). 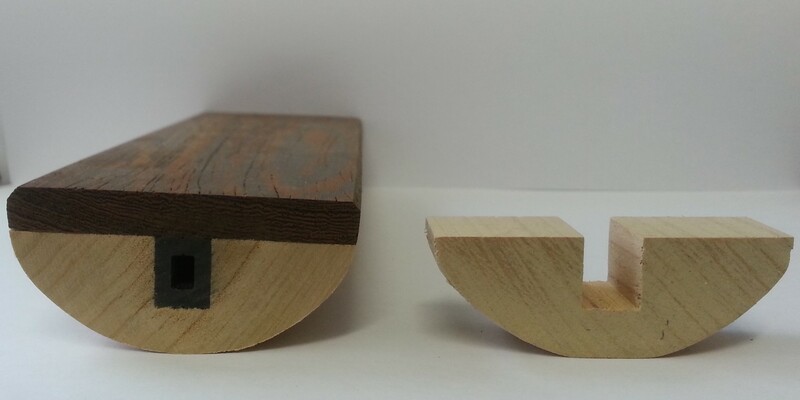 Or in case of flat profile, first cut two paralel grooves into the neck and glue two profiles in (see picture).